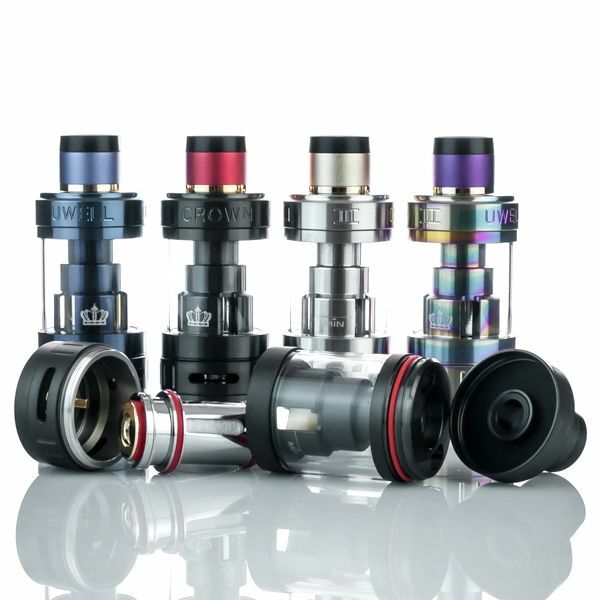 The Uwell Crown 3 Sub Ohm Tank is the newest edition to Uwell's Crown Sub Ohm Tank series that now comes equipped with an innovative plug and pull atomizer system for ultimate convenience. 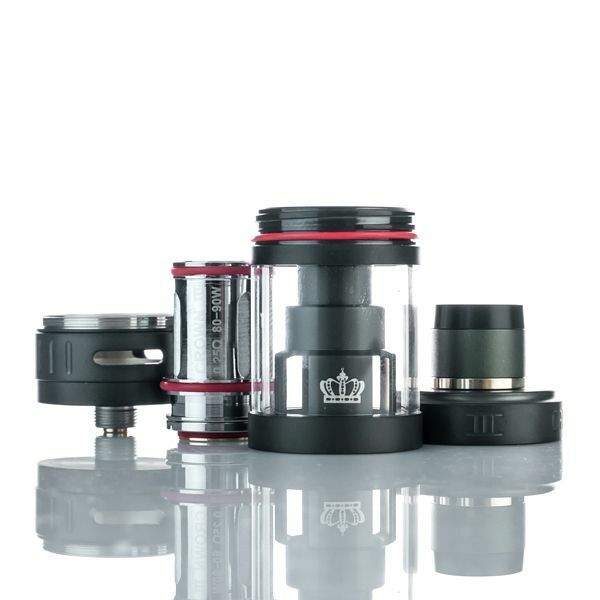 This version of the Crown vape tank features a 24.5mm diameter with a strong stainless steel structure and Quartz glass tank. The Crown 3's Quartz glass tank can hold up to 5mL of your favorite liquid at any given time. 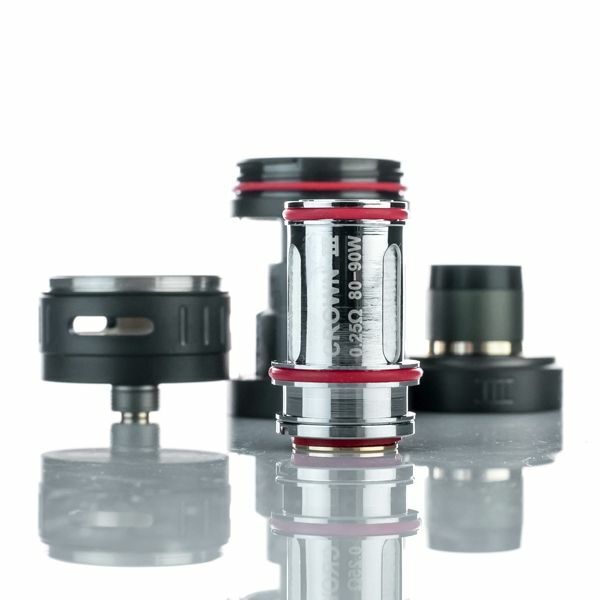 Achieve your max fill capacity by removing the patented threaded top cap, this will reveal the fill channels where you can drip your liquids in with very little possibility of leakage. A redesigned chimney and overall tank structure greatly reduces the amount of liquid condensation within the vape, this resulsts in a decrease in leaking and an increase in vapor production. Each Crown 3 Sub Ohm Tank comes stocked with two of the SUS316 Parallel atomizer coils for either variable wattage or temperature control vaping. This atomizer heads have been reengineered to deliver the perfect balance of vapor and flavor production and they also feature the innovative plug and pull replacement system that allows you to swap out your coils in just a moment's notice with very little mess. 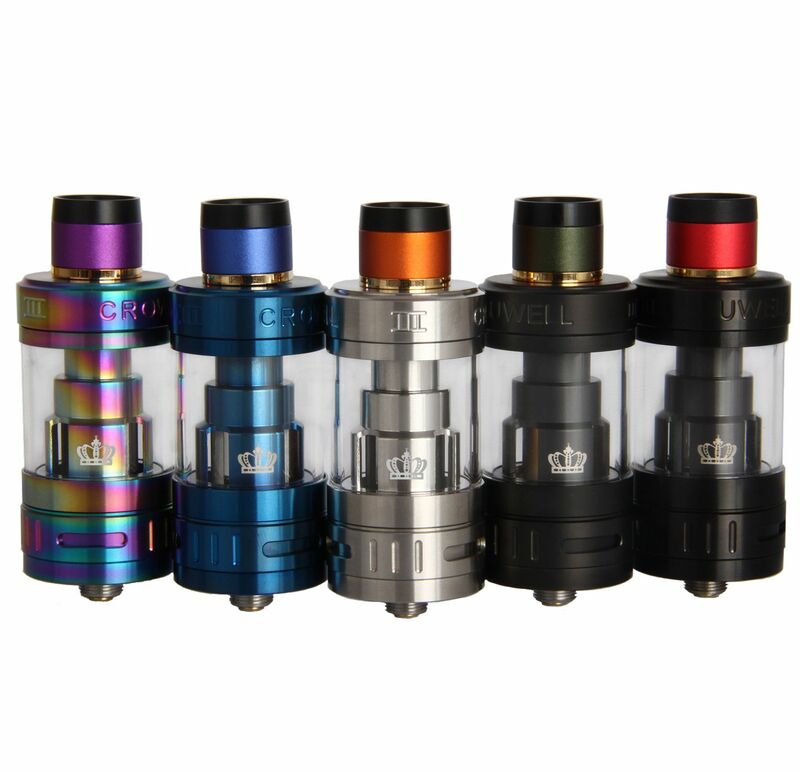 Grab your Uwell Crown 3 Sub Ohm Tank in a variety of different eye-catching color options, ranging anywhere from the one of a kind Iridescent to the sleek matte black finish, you are sure to find one that matches your style. Please note when selecting the Stainless color option you will receive a randomly colored drip tip that cannot be selected. 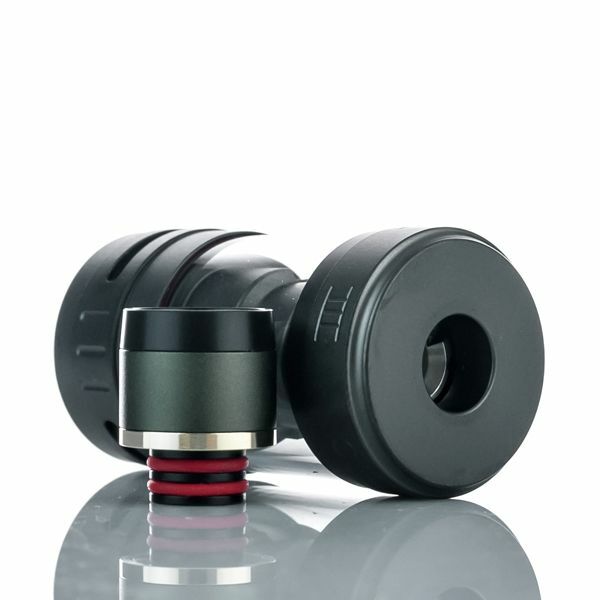 All other color options ship with the corresponding drip tip pictured above.